*BONUS* Seller will pay 6 months HOA fees at closing with an acceptable offer. Seller will consider leaving remaining furnishings (upstairs bedroom & wall mounted TV in living room) with acceptable offer. 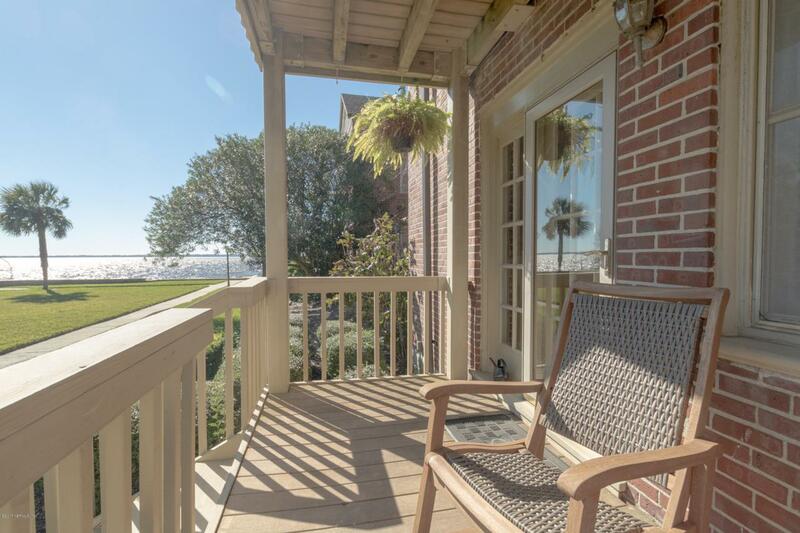 Fall in love with the historic charm in this 3-story (2 combined units) condo with river views. First floor features foyer entry, living room & guest bedroom suite. Entertain guests on the middle floor with upgraded kitchen (including gas stove), family & dining rooms, balcony with gorgeous river view, & the highlight is the spiral staircase. Loft style Master Suite is super sized with extra storage & walk-in closet. 2016 updates include new roof & gutters, dishwasher, & tankless water heater. New HVAC system (2 units) in 2014. Previously replumbed The work is done allowing you to move...right in and enjoy the preserved character, great views, and luxurious amenities. All this just minutes from amazing dining, shopping, & entertainment.